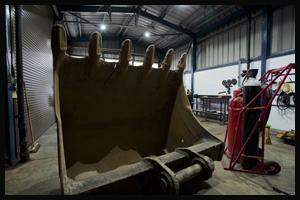 Metal fabrication services for companies and private sector. If you are looking for a metal fabrication company in Scotland or anywhere else in the UK, right now you got two options. Send your enquiry to us by email to info@weld-delux.co.uk or call 01779 487 170 to get the job done. Spend the rest of the day searching for a metal fabrication company online. If time is money, choose wisely! Do you need a metal fabrication company who is approachable and easy to work with? A metal fabrication company that you can trust? Metal fabricators, who can deliver quality service at a reasonable price? We always aim to be all of those things for our customers. 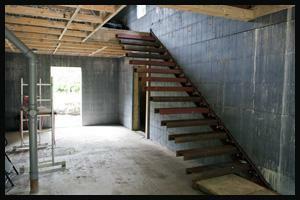 We have expert metal fabrication knowledge and experience to undertake projects with different levels of complexity. 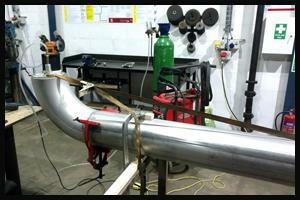 Our customer’s benefit from our metal fabrication experience and welding skills. Sheet metal work or pipes for refrigeration equipment, if you need something to be made out of steel, we are here to help. We are not in the business of guessing, there are some special folks for that, and you should not guess either (unless you are from the Met office). Send us enquiry with your request and take the guesswork out of the equation. The increasing popularity of stainless steel contributed to superior corrosion resistance and aesthetic appearance of the polished surface. Stainless steel fabrication is not difficult nor it easy it is simply different as stainless steel has specific physical and chemical properties. We have a lot of experience in stainless steel fabrication as we have fabricated a lot of items from hygienic pipework to conveyors. Aluminium fabrication is a lot less common specialty. Aluminium as a material is very good to work with as it is so much lighter and softer, but it too has an ugly side to it. Extremely high thermal conductivity, very toxic fumes and grainy structure that allows the metal to be bend one way but not the other. 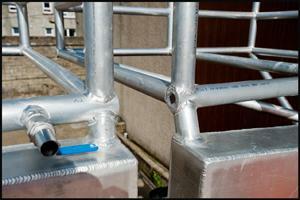 We do plenty of projects that involve aluminium fabrication and would be happy to help you with any enquiries. Metal fabrication for Oil and Gas. Aberdeen being oil and gas capital of Europe host plenty of companies who work in Oil and Gas and require some metal fabrication. In addition to this, there are companies who work in the renewable energy sector. One of our customers offers Biogas production solutions for companies across the UK. New technology in extraction, as well as recovery of energy from waste materials, ensure that this sector of economy still offers a lot of business opportunities for metal fabrication companies. Metal fabrication for the marine sector. 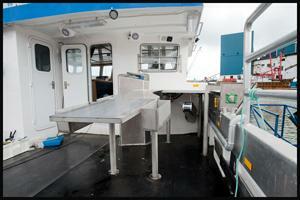 We are involved in many metal fabrication projects for Marine industry and commercial fishing. Fabricating Fuel tanks, masts, Rollers and haulers that allow easy deployment or extraction of fishing equipment. There is huge hope in the industry with many boat owners expecting to have fishing quotas increased due to Brexit. This would automatically translate into more metal fabrication projects within the industry. 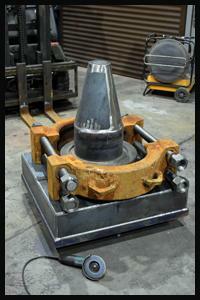 Metal fabrication for food processing. 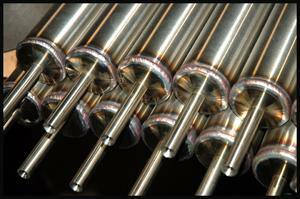 From material handling equipment like conveyors or pipework to vacuum lines we have done it all. 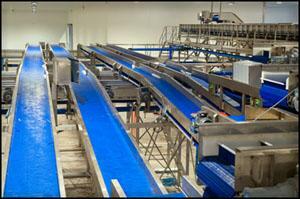 If you have a metal fabrication requirements for the food processing industry. Do not hesitate to contact us even if you need advice or recommendation. Poorly executed metal fabrication projects can lead to microbial or fungal contaminations of the product. It cost you nothing to ask a question! The vast majority of metal fabrication work that we do for construction companies are repairs and modifications to steel work on sites. Anyone who works on site knows that bits come with parts missing or welded in wrong places and if you are the one who has to deal with it, you know, it better be done before concrete comes in tomorrow. Other metal fabrication projects that you can spot us working on are repairs on diggers buckets, installation of stainless steel handrails, fabrication and installation of walkways and metal escape ladders. Basically, if it is metal, we can make it, fix it, modify it or talk about it for hours all depends on what are you prepared to pay for. Metal fabrication for Private sector. Every so often we get interesting metal fabrication requests from private individuals. It is totally random and is very interesting as it brings in variety. Some of the metal fabrication projects where modification of a bike fuel tank for TT race, Rain deer immobiliser, Free floating staircase. We really value this sort of metal fabrication adventures as they bring spice to our table. What else can i say, if you have metal fabrication project in mind, drop us an email or call and we will help you to price it and implement it life.